Co-working spaces are the modern approach to working in a shared community that offers higher flexibility and higher advantages at work. These spaces are a dynamic way of receiving a promising output for start-ups, freelance professionals and established or non-established businesses. Co-working spaces offer a flexible, independent and a cost-efficient place with no probable distractions to hinder our work. Do check out our list of top 80 coworking spaces in India with price comparisons. The working spaces are designed in a customized way to drive more productivity through inner inspiration and mindfulness. The benefits that these spaces award is to have a motivated atmosphere at all times allowing effective interactions and positive energy flow. Co-working spaces can be easily availed by anybody who is looking to work and create a business or maybe even increase their team size. The cost-efficiency factor of such spaces have helped many to enhance their work and have huge growth without burning a hole in your pocket. The offices are designed with the basic amenities including – good lighting, AC, printers, scanners, projectors in conference halls, well-planned infrastructure and tea with confectionaries. Co-working spaces are known to be super flexible with their design, as they customize everything according to the needs and preferences of their clients. The concept of co-working spaces is catching up in India and we now have over 600 workspaces with over 1.80 lakh seats all across the country. According to reports, 13.5 million square feet space has been the estimated area for co-working spaces in our country. Some of the best co-working spaces in Pune, Delhi, Mumbai, Bangalore, Chennai, Hyderabad and many more major cities in India are listed below. Smartworks is listed as one of the best among the top 80 coworking spaces in India with price comparisons offering spaces in 9 major cities across the country. The company offers customized designs at very affordable prices. With the ever-changing needs and requirements of people, Smartworks have curated spaces incorporating – private spaces, personal spaces and virtual spaces. PRICE- They start at INR 4,999 but the prices may easily vary with the increase or decrease in amenities and team size. The prices are also highly dependent on the customization. 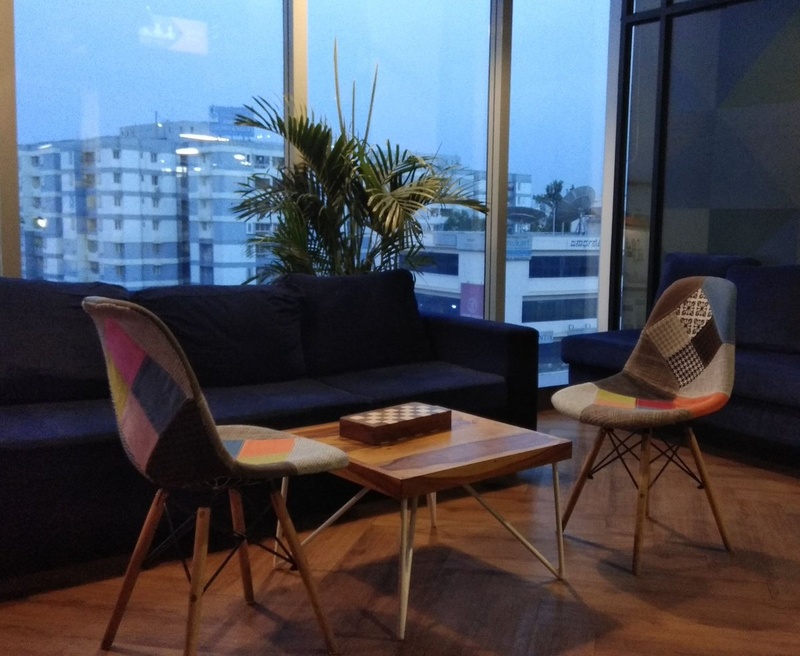 The Hive offers its spaces in Bengaluru, Mumbai and in Chennai. This company has a pet-friendly atmosphere and is known to provide world-class amenities such as – fitness centre, a rooftop swimming pool, beer on tap. Space and services offered in the company are all customizable. PRICE- A single day costs about INR 600 and a monthly subscription can be availed at INR 12000. This Mumbai based co-working space has an incredible number of services to provide such as – gaming zones, seminar and conferences halls, WiFi connectivity, spacious workspaces and functional furnishing. It is one of the most sought after top 80 coworking spaces in India with price comparisons. PRICE – A single day cost starts at INR 499 and a monthly subscription costs around INR 6500. This Delhi-based co-working space is the oldest and one of the best workspaces offering an ample number of services which includes- CCTV cameras, locker facilities, projectors for conference halls and WiFi connectivity. PRICE- A single day cost starts at INR 549. For part-time professionals, the price starts at INR 4,999 and for full-time professionals, the price is at INR 7,999. This space was uniquely designed for the techies and geeks desiring to work in a collaborative atmosphere. The vibe of the space is very work-friendly and they always have a full-pantry to ensure that nobody starves. Some benefits offered at Geekout are- free AWS credits, free coffee and free Github repos. PRICE- A desk at Geekout costs about INR 5000. This Pune based space has several numbers of services for their clients to enjoy which includes – CCTV, day care services, beer on tap, cafeteria, gym and courier services, housekeeping, IT solutions, biometric and many more. This space offers excellent packages even for women and for people working after 7 P.M.
PRICE- Individual packages start at INR 6,500, packages for women range up to INR 5,000 and the night owl packages start at INR 4,000. This space has the ability to create anything from desks, offices to even full headquarters to create an environment for creativity and productivity. They avail spaces for all team sizes and customize according to the requirement. WeWork is one of the most superior top 80 coworking spaces in India with price comparisons. PRICE- Dedicated desk spaces start at INR 17,000 per month and for private offices, a charge over per-seating is drawn. A single seat costs about 24,700 per month. Bombay Connect has an incredible presence for their most relaxing space that offers a mindful atmosphere. This Mumbai based space also offers a mini library and a kitchen as a place for the community to connect and grow. PRICE – A monthly pass can range anywhere from INR 2,000- INR 9,000 depending on the space and the services. A daily pass starts at INR 999. Innov8 chooses to host people from different work backgrounds which include – freelancers, digital nomads, corporate staffs, startup enthusiast and a lot more. With a great number of services and packages to offer, this co-working space is one of a kind and is located in the heart of Delhi, Connaught Place. PRICE – The standard pack starts at INR 8,000, the premium pack starts from INR 11,000, and the ultimate pack peaks at INR 14,000. The space in CoWork Cafe` is designed for all workaholics and the services provided are just add-ons to make the atmosphere more work-friendly making it one of the most preferable top 80 coworking spaces in India with price comparisons. PRICE- Guests and Resident memberships can be easily availed at INR 5,000 and INR 4,000. Prices may vary with other additions. Hi Please share best coworking space company for 500 + team size. Need this for MNC client. Location Noida. You can check out https://www.smartworksoffice.com/. They offer customized office space for teams of every size and have their branches in various cities including Noida. The price is quite affordable according to me. The work n play environment is a boon and quite interesting to root for. You can check out Smartworks. They offer customized office space for teams of every size and have their branches in various cities including Noida. The price is quite affordable according to me. The work n play environment is a boon and quite interesting to root for. I have gone through the entire list and researched the ones that looked great. I would prefer going for WeWorks or SmartWorks if I was about to establish myself in Noida. Both offer modern architecture and facilities to help with exponential growth in a short period of time. I believe there is no need for such heavy research as finalizing the number of persons will cut short your list initially. Try getting an estimate of the space required and then go through a dozen of options that meet your requirement. Looks Good, Can you share images from other co-working spaces And pricing. Hi. Please suggest a best location for a team size of 8 people. Would love to get reasonable per day passes to check them myself. Thanks.